This Blog is no longer being updated. 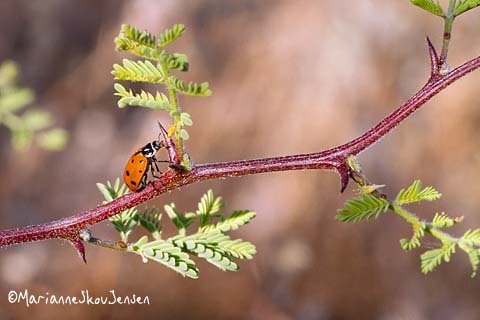 To see my latest work and help me support the McDowell Sonoran Conservancy, please visit my WEBSITE and consider buying a print or card! . This blog will continue to be active serving as an archive. 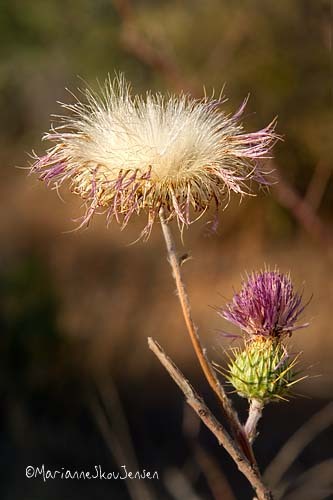 New Mexico Thistle (Cirsium neomexicanum) is just as beautiful in dried form as it is when blooming! Shot before sunrise this morning on the Marcus Landslide Trail. Even at 5am, it was very hot. 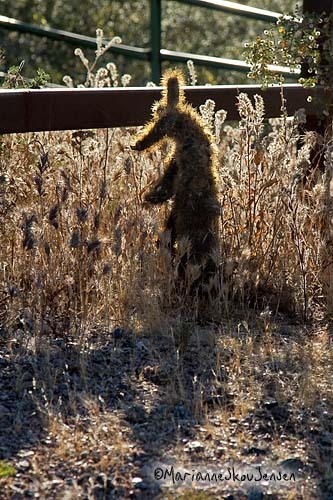 Teddy Bear Cholla live on after death! 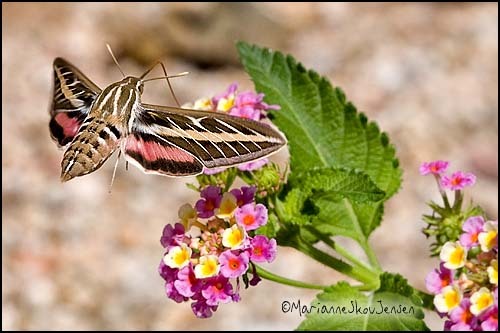 We are so lucky to see lots of White-lined Sphinx Moths (Hyles lineata) in our yard every year. (They feed on my Lantanas). What I just found out this morning might explain why we see them. As it turns out, one of the host plants for their caterpillars is Mirabilis. 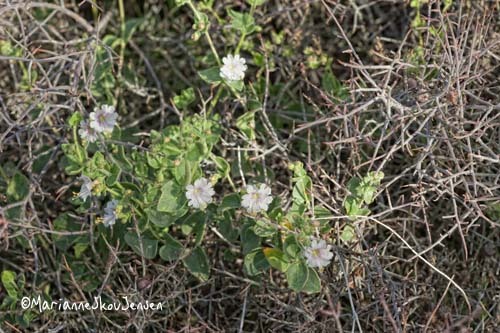 The genus Mirabilis includes Desert Wishbone Bush which I have a lot of! I went out to see if I could find a caterpillar but nothing yet. Note: I’m interested in caterpillars these days because I’m trying to include the native host plants in my flora guide sequel. 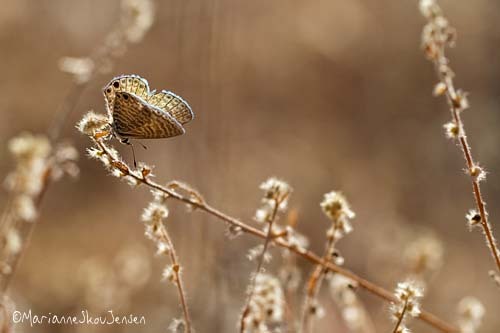 Butterflies and Moths typically don’t lay their eggs on nectar plants so even if you see Butterflies in your yard, they may have hatched somewhere else. 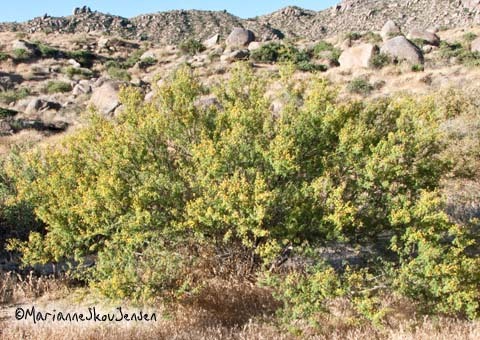 Hiking during the hottest of weather results in seeing plants you may never have seen before. 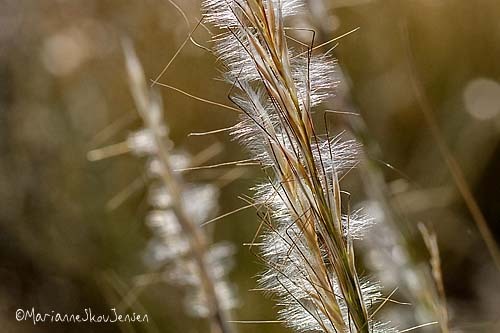 Like Desert Needlegrass, for instance. I stopped to photograph it because it looked so pretty against the rising sun. (note: I incorrectly identified it as Arizona Cottontop. Thanks to botanist Steve Jones for the correction!). 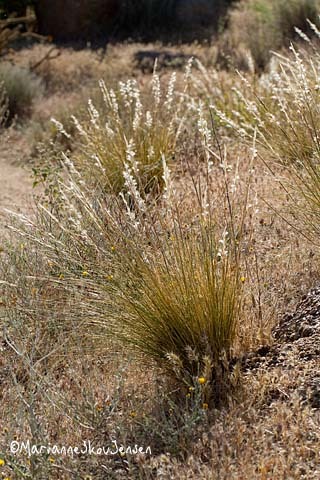 Even though it is a native plant, it and all the dry invasive grasses pose a serious fire hazard. My flora guide sequel is almost done! It will feature 149 species of flowering plants, cactus, trees and shrubs including many you may never have seen before. 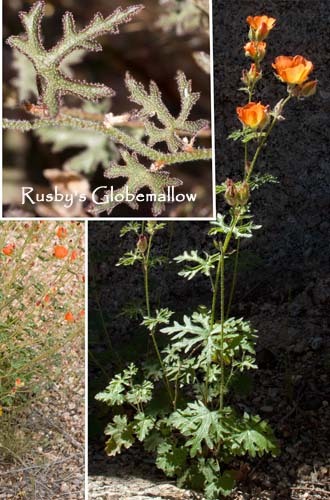 One uncommon flower I found was Rusby’s Globemallow. (Thanks to Steve Jones for identifying this one for me!) There’s very little information about this one. Rusby’s Globemallow (Sphaeralcea rusbyi) Flower captured near Tom’s Thumb in Spring of 2009. In case you were wondering, even with all the additions, the new guide will be only slightly thicker than the first one. That’s because many specimens in the first guide used up two pages. I’ll keep you posted. 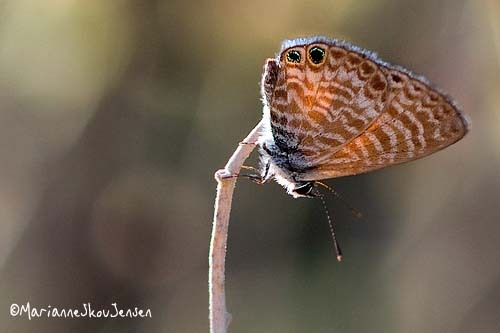 During a recent hike up near Tom’s Thumb, I spotted dozens of Marine Blue (Leptotes marina) butterflies. They feed and host on plants in the pea/legume family (lots of that up there). I tried for almost half and hour but this is the widest any of them opened their wings. Thinking of all my veteran friends this morning and those who served before you. 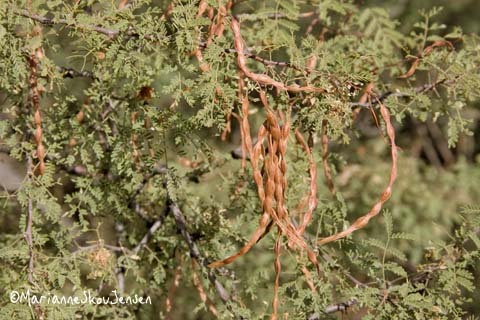 White Thorn Acacia (Acacia constricta) is another native acacia in our area. 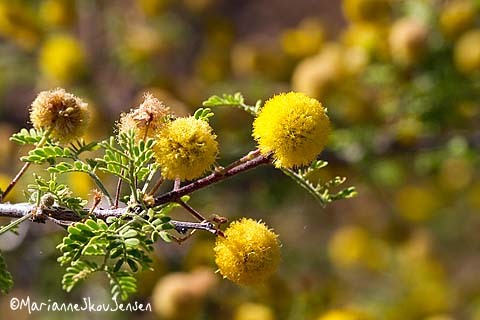 It’s not as common Cat Claw Acacia (Acacia greggii) which is too bad for us hikers because it’s in bloom right now and it’s wonderfully aromatic! Stems of new growth is red. 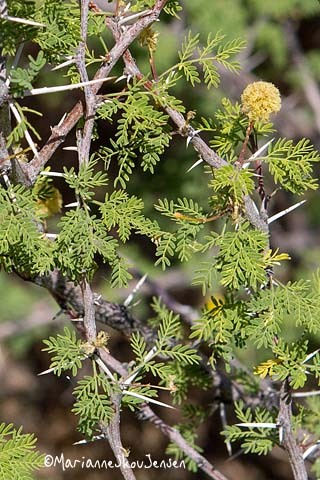 White thorns are typical but not always present. Distinctive “constricted” seedpods. 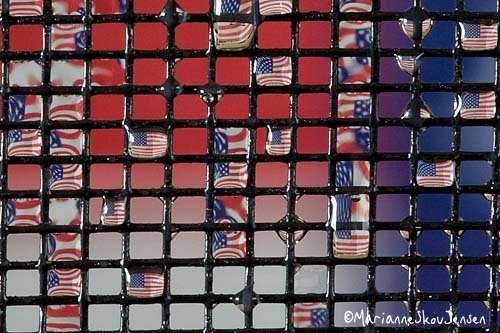 This photo is from October, 2007.